The Pennsylvania teenager who was signed out of her school by a 45-year-old man has likely been taken to another country, authorities said in the latest update. 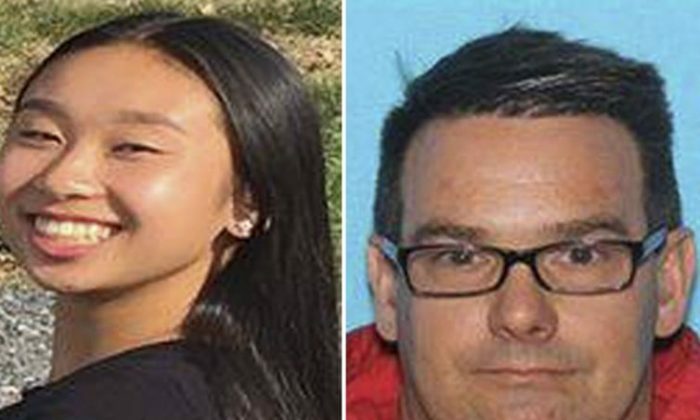 Amy Yu, 16, was taken from her school in Allentown by Kevin Esterly on Feb. 9. Yu is friends with one of Esterly’s daughters, with Amy’s family saying the pair met initially at church years ago. He is married with four children. School records showed that Yu was signed out of school by Esterly, who was listed as her stepfather, 10 times between Nov. 13 and Feb. 9. Yu’s mother reported her daughter missing on March 5, reported The Morning Call. Esterly’s wife told police officers that she saw him that morning for the last time. He withdrew $4,000 from his wife’s bank account before vanishing. The pair disappeared after being seen last that day at 15th and Allen streets, shortly after Yu’s mother dropped her off at a bus stop. Amber Alert Mexico posted an alert on Thursday night asserting that Yu and Esterly are now in Mexico and urging people to be on the lookout for them. Authorities believe that Yu could be in danger. Esterly has a warrant out for his arrest on the charge of interfering with the custody of a child. Authorities said the pair struck up a romantic relationship at one point but 16 is the age of consent in Pennsylvania. Anyone who sees either of them is asked to call 911, local police, or the Allentown Police at 610-437-7751. Yu’s mother, Miu Luu, told CBS that she wanted to convey to her daughter that she wants her to return home. “If she’s safe—that’s okay. But I want them to catch the guy and bring her back,” Miu Luu told ABC. While Yu has asserted that Esterly tricked her daughter into leaving, others say the teen helped plan the escape. Yu’s brother, John Yu, also believes Amy helped plan the disappearance. “I think they know or they planned it, to do this and I think it was both of their ideas because Amy is not that stupid,” he told CNN.